Parkinson’s People was launched by Andy Butler, a former Parkinson’s carer, in June 2014. The independent online Parkinson’s community has more than 43,00 followers worldwide. It is moderated by a small team, most of who live with Parkinson’s, and is used for sharing information about the condition. What inspired you to set up the Parkinson’s People Facebook page? When I was caring for my father, I’d spend the hours after he’d gone to bed chatting to other people with Parkinson’s on the internet about what I’d learned about caring. When he passed away, my sister said: “Why don’t you go and visit some of these people”. I discovered that there wasn’t a community, independent of a Parkinson’s organisation, where people could share information. There was evidently a need for it, as I think that 75% or 80% of information published by Parkinson’s organisations doesn’t get posted to a website or internet group. People had said to me that that they didn’t want to be seen to be sharing information that groups they belonged to didn’t agree with. With a community page people can post their opinions anonymously, without being affiliated to any charity. You’ve gained ten of thousands of followers in just a few years, how have you spread the word about the group? Well, I’m able to travel quite extensively for Unity Walks and Parkinson’s advocacy. 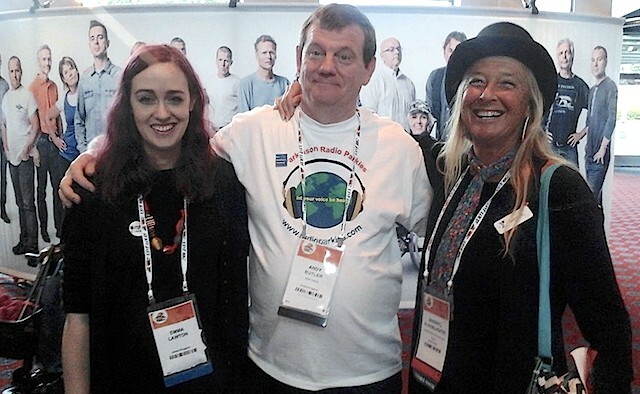 In the last few years, I’ve been to the Luxembourg Unity Walk, Copenhagen Unity Walk, New York Unity Walk, Louisiana Walks for PD, Parkinson Association Canada – Step and Stride, Walk in the Park Melbourne and have also endorsed Radio Parkies in Hong Kong, Malaysia and Nepal. I’ve also been to Puerto Rica and Nicaragua. The only continent that I haven’t been to is Africa. Everywhere I go I have a little postcard that has information about the Facebook page, so that people who aren’t that familiar with the internet still know what it looks like. I also use Facebook advertising to promote the page in regions such as the Cayman Islands and Mongolia, where we don’t yet have many followers. How does your group support people living with Parkinson’s? People send links and information from all over the world in lots of different languages, but we tend to only publish the English-language information, as we don’t have a team of translators. 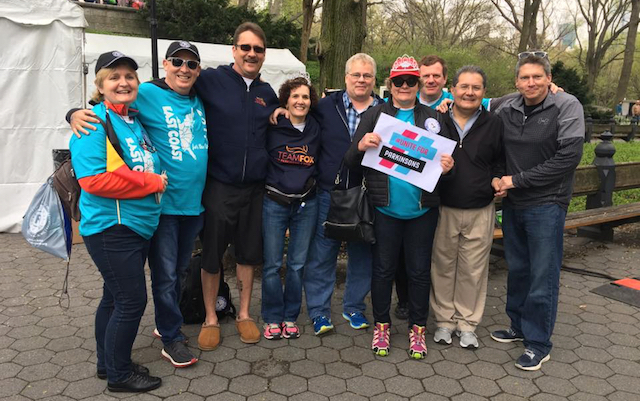 We have a group of admins – Ben Stecher, Gary Sharpe, and Helen Kennedy, all living with Parkinson’s – who act as moderators. I’ve also met all of them in person. We all have the same editors rights and everyone can post the information, whenever they like. Why did you feel there was a need for an independent Facebook page that isn’t affiliated to any particular Parkinson’s organisation or group? I find that Parkinson’s organisations tend to only highlight their own news – the thousands of people that follow the page do so because they want to learn about all kinds of Parkinson’s news. If someone is doing a new type of dance therapy in Kolkata, India, there’s no reason why that can’t be transposed to Edmonton, Canada. Anyone in the world can learn from other places. Do you think that the information available for people with Parkinson’s differs around the world? Certainly, the drug regulations are different in each region, which means that some drugs available in the US or Canada may not be allowed to be prescribed within Europe, etc. So certain things I can understand, but in terms general self-help or tips, so many people only read what they come across within their own Parkinson’s network. How do you think Parkinson’s charities and organisations worldwide can collaborate to improve information and services for people with Parkinson’s? There is no reason why they can’t collaborate, but unfortunately a lot of them don’t. I often meet people and they say, “Andy, I live here and there are two organisations. They both do charitable work, but they won’t even talk to each other, or help each other”. Sadly, this is a very common thing. 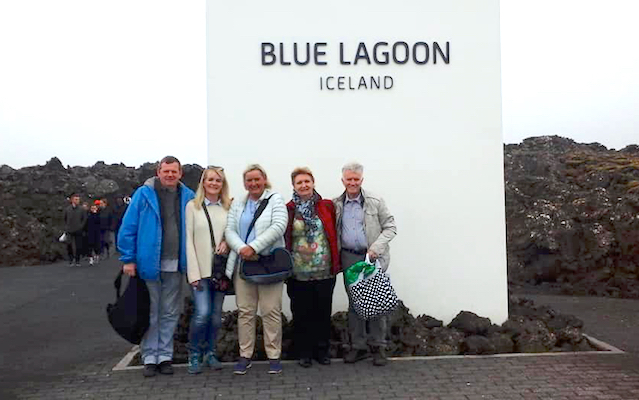 But if you live in an area where there are other Parkinson’s groups, there’s no reason why you can’t say, “hello, we’re the so and so branch”, go to one of their meetings, spread the word and tell people you’re happy for them to come to your group. When I looked after my father, I used to take him to three different groups, as each one did different things, which was really beneficial. But how do you resolve the collaboration issue? I really don’t know. Even the medical people don’t necessarily collaborate with each other. In reality, there’s no reason at all why charities around the world can’t highlight different projects, where they know that people with Parkinson’s will benefit from it. What have you learned about Parkinson’s during your time as a carer? You just have to adapt to the 24-hour way of life. I learned that certain types of plastic cups are easier to use than others. I learned to put music on, or have the radio on during the day to lift his spirits. I learned to place nightlights around the house, and where to put the bed to make sure that I’d got full access around him. Any time I went to a carers’ meeting I’d always make sure I passed on some of my learnings. When you meet up with people from Parkinson’s groups, what kinds of things do you discuss? The first thing I find out is what I’m allowed to pass on and what is confidential. Often, people with Parkinson’s tell me about something they’ve tried that has helped them. But there’s not always any kind of clinical therapy behind it – it just means that it works for them. When I pass this information on I always say that I’m relaying what I have been told, with the caveat that “it might help you, but it may not”. Tell us about your involvement in Radio Parkies. When I visited Belgium, I arranged to meet Jean-Paul de Cremer, one of its founders. I immediately thought that it was a great project that could be set up in different countries. It’s simple and doesn’t cost money. Basically, all that the people have to do is buy a set of headphones. The program that they use is downloaded onto their laptops, and it doesn’t cost them anything. It has proven popular throughout the world – people in Australia took it up, and it’s also being broadcast in the US, Denmark and Iceland. It also ran for six months in Malaysia. Why do you feel that trying to connect groups worldwide is important? I think that groups can learn from each other. Travelling is a very good thing. Lots of people said to me: “Oh no, I can’t travel.” And I’ve said: “Why?” I always tell them that there are lots of people with Parkinson’s who travel. I think it’s just in people’s mind. They get diagnosed and think, “that’s it, my life is over”, or “that’s it, there is just no progression now”. I like to use the World Parkinson’s Congress as an example. 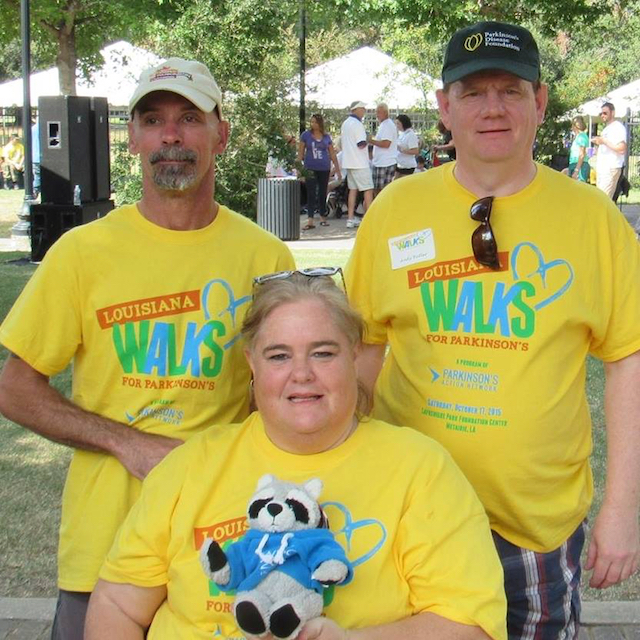 Nearly 5,000 people went, many of them living with Parkinson’s. If 5,000 people can travel to America, there’s no reason why people with Parkinson’s can’t travel from one space to another. Many Thanks for the Article. It is Great. You are the best Andy. Regards from Greece. Good day, I recently was told by my Dr., I may have the onset of Parkinson’s Disease. I have heavy tremors, seizures, mild, more like freezing up, when that happens, I can hear and see, it’s like I’m trapped inside a box, have Anxiety issues as well, the tremors just developed over the last 3 months and getting worse, can’t work, no insurance. I live in Brooksville Fl, Hernando County. Can you advise me on how to get help?